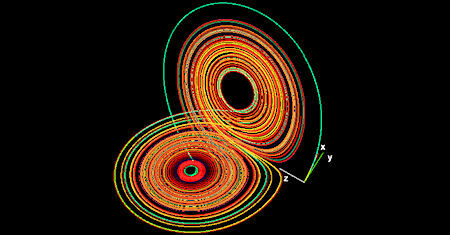 There has been a considerable progress made during the recent past on mathematical techniques for studying dynamical systems. This progress is due to our increasing ability to mathematically model physical processes and to analyze and solve them. The notes describe the methodology called Variational Modelling, and focus on the application to the modelling of gradient-flow systems. I describe the methodology itself in great detail, and explain why this is a rational modelling route. The monograph presents a generalization of the well-known Lyapunov function method and related concepts to the matrix function case within the framework of systematic stability analysis of dynamical systems (differential equations). This monograph presents a systematic analysis of the singularities in the transition processes for dynamical systems. We study general dynamical systems, with dependence on a parameter, and construct relaxation times that depend on three variables. A preliminary version of the textbook on integrable systems. Contents: General notions and ideas; Riccati equation; Factorization of linear operators; Commutativity of linear operators; Integrability of non-linear PDEs; Burgers-type equations. This book addresses the following topics: Iterations and fixed points; bifurcations; conjugacy; space and time averages; the contraction fixed point theorem; Hutchinson's theorem and fractal images; hyperbolicity; and symbolic dynamics. These notes describe several situations in dynamics where the notion of valuations on rings provides a simple language in which to describe and exploit hyperbolicity. This approach goes a little beyond simply providing a convenient language. This is a monograph on chaos in dissipative systems written for those working in the physical sciences. Emphasis is on symbolic description of the dynamics and characteristics of the attractors, written from the view-point of practical applications. This tutorial will develop the basics ingredients necessary for modeling simple non-linear dynamical systems. The goal is to demonstrate you that you can develop significant insight into the behavior of non-linear systems with just a little math. In this book we explore some topics on dynamical systems, using an active teaching approach, supported by computing tools. The subject of this book on dynamical systems is at the borderline of physics, mathematics and computing. From the table of contents: Introduction; Strongly Order-Preserving Semiflows; Generic Convergence and Stability; Ordinary Differential Equations; Delay Differential Equations; Monotone Maps; Semilinear Parabolic Equations. An introduction to integrable systems. From the table of contents: Integrable dynamical systems; Solution by analytical methods; Infinite dimensional systems; The Jaynes-Cummings-Gaudin model; The Heisenberg spin chain; Nested Bethe Ansatz. The encyclopedia covers differential equations, numerical analysis, bifurcations, topological dynamics, ergodic theory, hyperbolic dynamics, oscillators, pattern formation, chaos, statistical mechanics, control theory, and applications. This book is written for anyone with an interest in chaos, fractals, non-linear dynamics, or mathematics in general. It's a moderately heavy piece of work, requiring a bit of mathematical knowledge, but it is definitely not aimed at mathematicians. The goal of these notes is to give a reasonably complete, although not exhaustive, discussion of what is commonly referred to as the Hopf bifurcation with applications to specific problems, including stability calculations. This is a graduate textbook on classical and quantum chaos, applicable to problems of physics, chemistry and other sciences. It represents an attempt to formulate the subject as one of the cornerstones of the graduate physics curriculum of future.